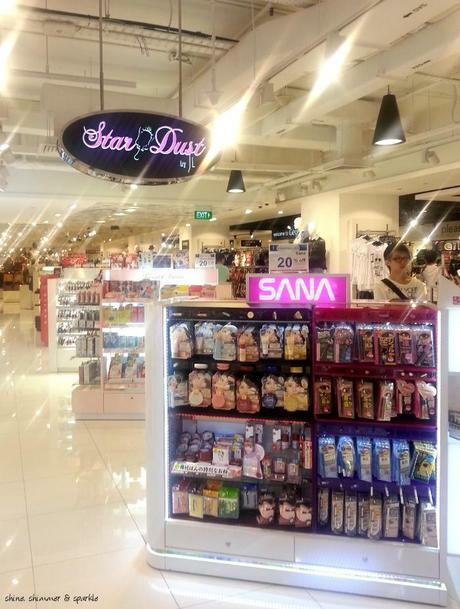 John Little had recently revamped its beauty department StarDust in Plaza Singapura and among the press samples I received was a SANA facewash – I was reminded how StarDust used to stock some interesting (and otherwise hard to purchase brands) like Lord & Berry, SANA makeup and skincare and other Japanese and Korean brands. Here’s a quick look at some of the offerings in the new StarDust. StarDust is John Little’s one-stop stire for skincare, haircare and cosmetics, housing both popular and niché beauty brands and health supplements. Rounding up some of the best beauty essentials from around the world, it lets you revel in a touch-feel-try experience so that you can come up with different looks for any occasion. 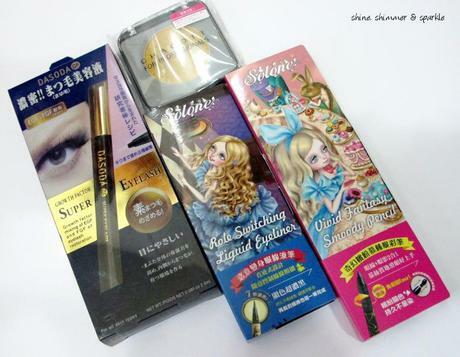 There are a lot of brands for you to choose from, with a concentration of Japanese cosmetics – I didn’t recognize half of what I saw which made browsing all the more interesting. 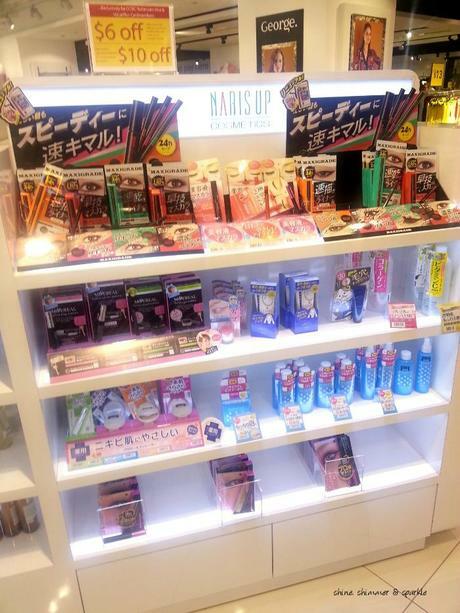 Those that I did recognize were Dasoda and Avance, highly popular drugstore brands in Japan which I think have several award-winning and popular products. 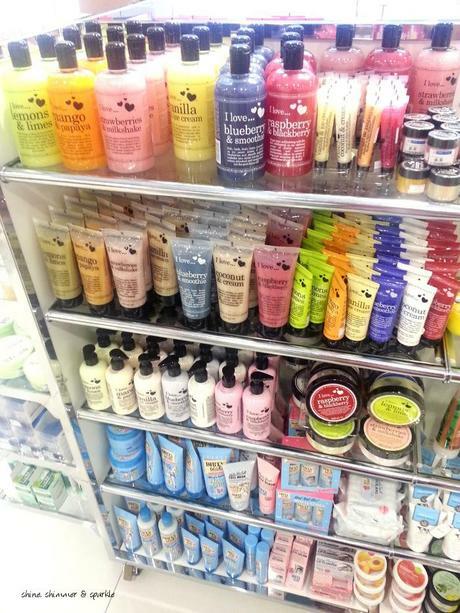 There are also a whole bunch of other bath and body products as well as hair care. I remember when I first heard about Queen Helene’s Mint Julep Masque, I went half around Singapore looking for it and finally bought it in Chinatown. 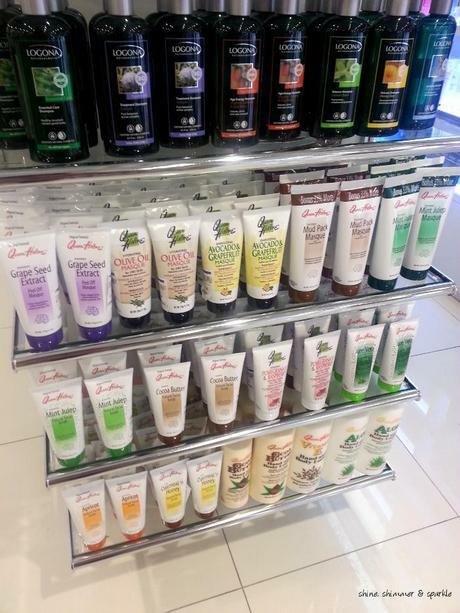 The Oatmeal and Honey Scrub is really good – I’ve gone through about 3 tubes of those. I Love … range of hand and bath products seem to be quite popular and I’ve seen it online quite a bit – the concept reminds you a little of Philosophy’s 3-in-1 shower gels given the fragrances available. I thought Vanilla Ice Cream smelled really good. 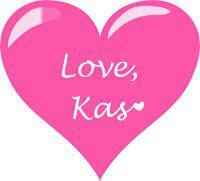 I Love … and Dirty Works look like they would make good stocking stuffers or token gifts during the Holiday season. Other brands I was chuffed to see in StarDust were Solone and Chacott! 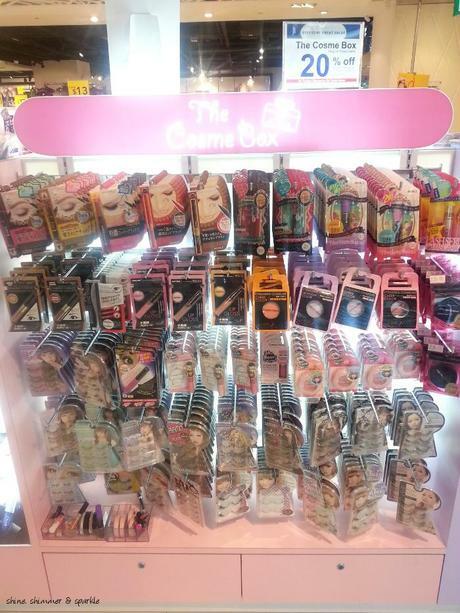 I love the Solone eyeliners and I think StarDust has stocked the entire range. These retail for about S$14.90. At the time that I visited the BeautyDirect’s store in 100AM (which retails niché Japanese brands like Juju Aquamoist, White Label, Beppin and Chacott), Chacott’s gold eyeshadow was not in stock – I found in at StarDust and with 20% off, it was a great buy. 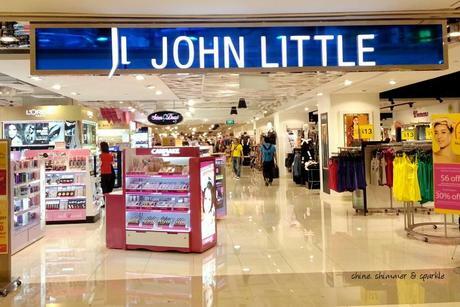 John Little often runs sales and discounts of 20% and even 30% if we’re lucky so that’d be the best time to stock up on favourites. Along with the Solone eyeliners and the Chacott eyeshadow, I picked up an eyelash serum from Dasoda. If you’re running out of ideas on what to buy for friends and family this Holiday season and need more gifting options, StarDust is yet another place to turn to.